Choose your vps according to your need, 100% Intel CPU and 100% SSD storage. WHERE IS OUR WEB HOSTING SERVER LOCATED?? 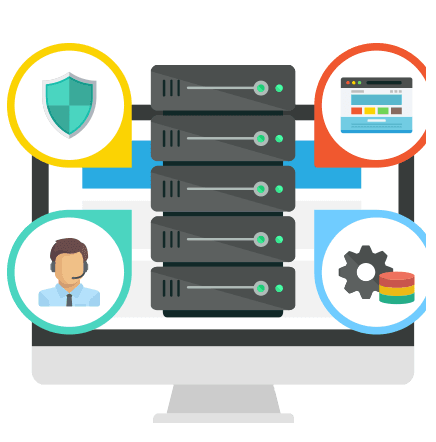 Our web hosting server located mainly in USA and Canada datacenter. . We use Colocrossing, Liquid Web and Turnkey Data Center. All of our servers has 100% uptime and DDoS Protection. We accept VISA, Master, DBBL Nexus, Rocket, bKash and Brac Bank payment method. Our automatic payment gateway system will register or renew your service automatically 24/7. WHAT IS YOUR HOSTING SERVER UPTIME? Our server has 100% guaranteed uptime, You can monitor our server uptime from uptimerobot.com after purchasing web hosting packages. DO YOU HAVE FREE MIGRATION SERVICE? We have free migration service for your website. You can migrate your web hosting data from any others web hosting company. Our expert engineer will migrate your website without any downtime. CAN WE UPGRADE OR DOWNGRADE THE PACKAGE? Package upgradation facility starts from Basic hosting package. You can upgrade or downgrade the package at any time. For hosting upgradation the remaining fee will be adjusted along with remaining days. We have 30 days refund policy for yearly package. If you are not satisfied with your hosting service according to our terms and condition, you can refund your hosting fee. WHAT IS YOUR SERVICE ACTIVATION TIME? CAN WE USE EMAIL MARKETING? Yes, you can send marketing email to your valid customers. But we don’t allow any unsolicited email marketing or email spamming which are not your subscribers or regular clients. For bulk amount of email marketing, you can buy bulk email marketing service from us maintaing our Terms of Service.